Super Value!! One set is only sold at RM9.75 !! 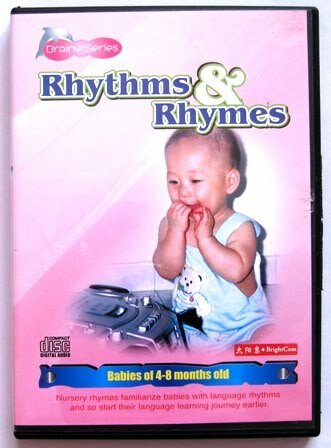 Each set includes 1 audio CD with 20 English nursery rhymes accompanied by soothing music which stimulates a baby’s brain cells effectively and helps your baby familiarise with English rhythms and so starts their language learning journey earlier. Brain boosting cards are given to further activate a baby's brain cells and makes your baby smarter. 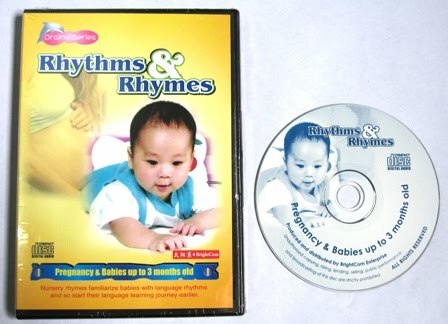 Mothers-to-be are encouraged to let their unborn babies to start listening to the CD from the 4th month of pregnancy. 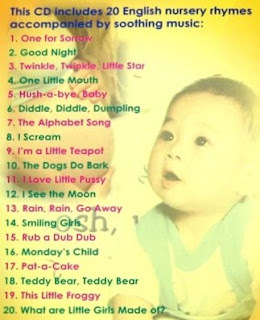 Babies will like English very much and start their language learning journey earlier. Your child can enjoy the CD until schooling.